Researchers have known that part of the challenge in treating penicillin-resistant infections lies in understanding the way bacteria inactivate penicillin antibiotics. Allergan plc today announced the U.S. Food and Drug Administration has accepted for filing the company's supplemental New Drug Application (sNDA) for TEFLARO (ceftaroline fosamil). Allergan plc today announced that it has entered into a global agreement with AstraZeneca to develop and commercialize ATM-AVI, an investigational, fixed-dose antibiotic combining aztreonam and avibactam. Allergan plc today announced the U.S. Food and Drug Administration has approved the company's supplemental new drug application (sNDA) to update the label for TEFLARO (ceftaroline fosamil) for the treatment of adult patients with acute bacterial skin and skin structure infections (ABSSSI) and community-acquired bacterial pneumonia (CABP). Shortages of key antibiotics, including gold-standard therapies and drugs used to treat highly resistant infections, are on the rise, according to a new study of shortages from 2001 to 2013 published in Clinical Infectious Diseases and available online. The trends raise serious concerns about the effects on patient care, particularly for infections without effective alternative treatment options. Gilead Sciences, Inc. announced today its results of operations for the fourth quarter and full year 2012. Rib-X Pharmaceuticals, Inc., today announced that the Food and Drug Administration (FDA) designated delafloxacin as a Qualified Infectious Disease Product (QIDP) for the indications of acute bacterial skin and skin structure infections (ABSSSI) and community-acquired bacterial pneumonia (CABP). Gilead Sciences, Inc. announced today its results of operations for the quarter ended June 30, 2012. Forest Laboratories, Inc. announced today that Teflaro(ceftaroline fosamil), a broad-spectrum bactericidal cephalosporin with activity against both gram-positive and gram-negative microorganisms, was approved by the U.S. Food and Drug Administration (FDA) for the treatment of community-acquired bacterial pneumonia (CABP), including cases caused by Streptococcus pneumoniae bacteremia, and acute bacterial skin and skin structure infection (ABSSSI), including cases caused by methicillin-resistant Staphylococcus aureus (MRSA). 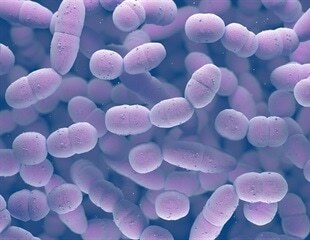 The U.S. Food and Drug Administration today approved Teflaro (ceftaroline fosamil), an injectable antibiotic to treat adults with community acquired bacterial pneumonia (CABP) and acute bacterial skin and skin structure infections (ABSSSI), including methicillin-resistant Staphylococcus aureus (MRSA). Gilead Sciences, Inc. today announced that its head-to-head Phase III clinical trial of Cayston (aztreonam for inhalation solution) versus tobramycin inhalation solution (TIS) in cystic fibrosis (CF) patients with Pseudomonas aeruginosa (P. aeruginosa) achieved its co-primary endpoint of superiority of Cayston for mean actual change in forced expiratory volume in one second (FEV1, a measure of lung function) percent predicted across three treatment cycles (six months). Gilead Sciences, Inc. announced today its results of operations for the quarter ended September 30, 2010. Total revenues for the third quarter of 2010 were $1.94 billion, up 8 percent compared to total revenues of $1.80 billion for the third quarter of 2009. Net income for the third quarter of 2010 was $704.9 million, or $0.83 per diluted share, compared to net income for the third quarter of 2009 of $673.0 million, or $0.72 per diluted share. Gilead Sciences, Inc. announced today its results of operations for the quarter ended June 30, 2010. Total revenues for the second quarter of 2010 were $1.93 billion, up 17 percent compared to total revenues of $1.65 billion for the second quarter of 2009. Net income for the second quarter of 2010 was $712.1 million, or $0.79 per diluted share, compared to net income for the second quarter of 2009 of $571.4 million, or $0.61 per diluted share. APP Pharmaceuticals, Inc., a wholly owned subsidiary of Fresenius Kabi Pharmaceuticals Holding, Inc., announced today that it has received approval from the U.S. Food and Drug Administration to market Aztreonam for Injection, USP in two dosage strengths. Aztreonam is therapeutically equivalent to the reference-listed drug Azactam, which is marketed by Bristol-Myers Squibb. Gilead Sciences, Inc. today announced that its head-to-head Phase III clinical trial of Cayston (aztreonam for inhalation solution) versus tobramycin inhalation solution in cystic fibrosis patients with Pseudomonas aeruginosa achieved one of its co-primary endpoints of non-inferiority for mean percent change in forced expiratory volume in one second (FEV1) percent predicted after 28 days of treatment. Gilead Sciences, Inc. today announced that the U.S. Food and Drug Administration (FDA) has granted marketing approval for Cayston® (aztreonam for inhalation solution) as a treatment to improve respiratory symptoms in cystic fibrosis patients with Pseudomonas aeruginosa. Cayston’s safety and efficacy have not been established in pediatric patients below the age of 7, patients with forced expiratory volume in one second of less than 25 percent or greater than 75 percent predicted, or patients colonized with Burkholderia cepacia. The U.S. Food and Drug Administration approved an important new inhaled antibiotic called Cayston® (aztreonam for inhalation solution) today for the treatment of cystic fibrosis. The drug was made possible by significant support from the Cystic Fibrosis Foundation, including a $1 million investment by a Foundation subsidiary to help develop the therapy. China Sky One Medical, Inc., a leading fully integrated pharmaceutical company developing and producing over-the-counter drugs in the People's Republic of China ("PRC"), today announced that Heilongjiang Tianlong Pharmaceutical Company ("Tianlong"), the Company's wholly owned subsidiary, will change its R&D focus from external use medicines to antibiotics and cardiac drugs.